A mobile phone lifter has been jailed on charges of stealing a mobile phone owned by an African footballer at Guwahati Railway Station. The Government Railway Police (GRP) in cooperation with Railway Protection Force (RPF) arrested a mobile lifter, who had stolen a mobile phone from an African footballer, Lawal Mutiu Adjibola, on November 12 evening. The 27-year-old accused has been identified as Nurul Amin from Phakuli Pathar village under Juria Police Station in Nagaon district of Assam. 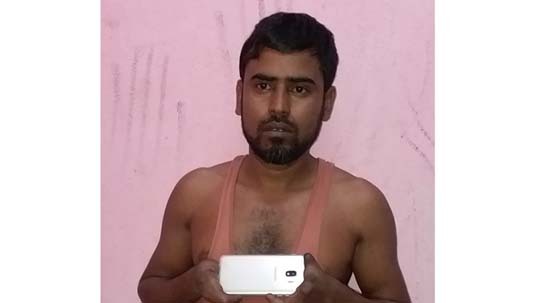 Dutta further said that a team of GRP in cooperation with the RPF team immediately acted upon and nabbed the mobile phone lifter at railway gate No 2 following the CCTV footage. Dutta informed that the African footballer Lawal Mutiu Adjibola, who had been here in Guwahati for the last few days, was about to travel from Guwahati Railway Station to NGP station through Avadh Assam Express. A case (No 307/18) under section 380 of the Indian Penal Code (IPC) has been registered at the GRP Police Station in the Guwahati Railway Station and the accused was produced in the court of Chief Judicial Magistrate, Kamrup (M) on Tuesday which sent him to judicial custody. Later, the mobile phone was returned to the footballer by the GRP.